Instagram Success - 3 tips for your business | KateCoote. Instagram success is pivotal in the progression of your social media and digital marketing strategy. If you’re not yet using Instagram as a way to connect with your clients and customers then you’re missing out on the chance to target 400 million active and engaged monthly users. 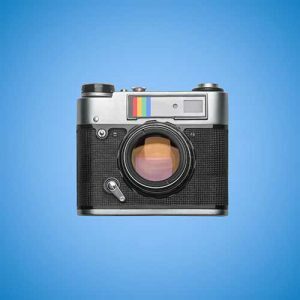 So how exactly does Instagram help your business? Using Instagram as a social media marketing channel also offers you access to one of the world’s largest mobile advertising platforms. If you’re already using Instagram and not sure how to use it for advertising, check out this stonking post from the good people at Social Media Examiner. However, just as with every other social channel, there’s little point in setting up an Instagram account just for the sake of it. If you want to achieve results you need to actually post on Instagram and you need to post images that your audience will engage with. I’ve put together a list of my top 3 tips for content creation that will ensure your business’ Instagram success. Always maintain your brand’s story – This comes from using a consistent style of images. I also generally include my logo overlaid on my images. When one of your followers looks at their Instagram feed, they should be able to quickly identify your images from your branded style. Get personal, but not too personal – So, we all know that using social media well is about injecting personality into your content. However, like any other social channel it helps to separate business from personal. That means it’s okay to share images and videos of you or your employees working hard to create your products or deliver your services. It’s also good to show you and your staff having fun at company outings or during client meetings (as long as your clients are okay with that). It’s probably best to keep the images of you having a boozy Friday evening with your friends on your personal account. I only have one Instagram account, and although you may see the odd image slipped in from something in my garden, a personal outing or something I created in my kitchen, these definitely won’t be branded with my logo. Don’t forget the caption – Instagram allows you more than 2,000 characters in your photo caption. It’s great to make the most of this, but more important to get your message across concisely, nothing is worse than a post that drags on. Here’s a bonus tip… You need more than #hashtags alone in your caption. #Hashtags are important, (you might find this post from my archives useful), but they need to have context, your customers and clients still need to know the message that you are trying to convey. Now go forth and Insta! Please follow me there for more tips and tricks.